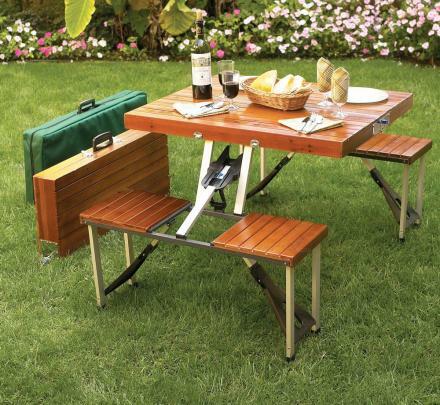 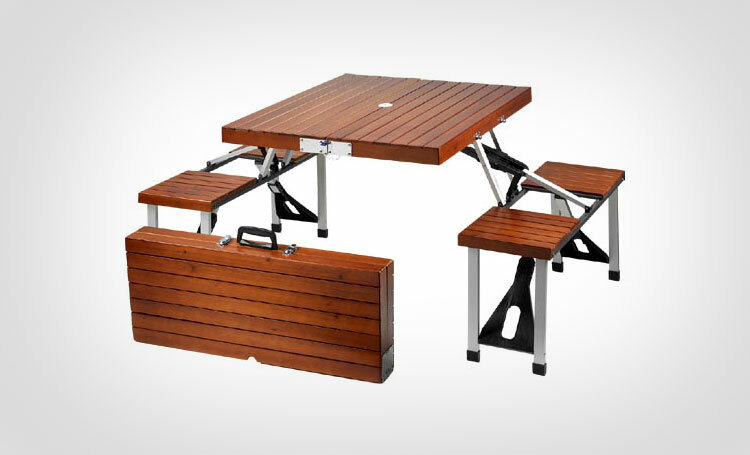 Similar to the picnic table that folds into a bench, this picnic table folds all the way down to a briefcase so you can easily carry it from one place to another. 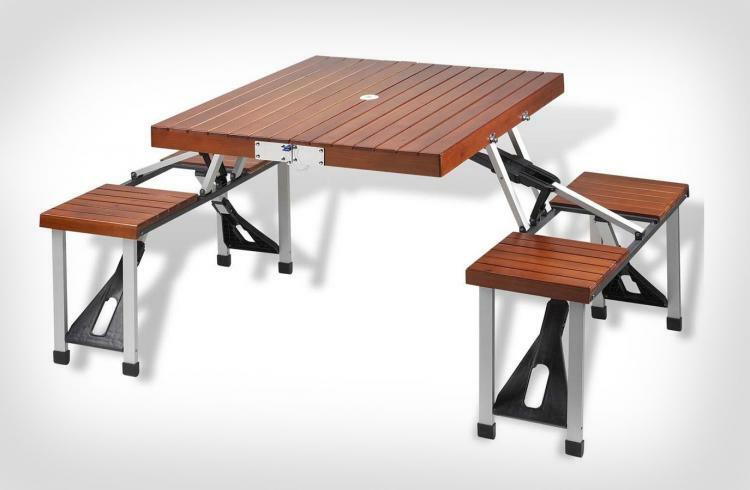 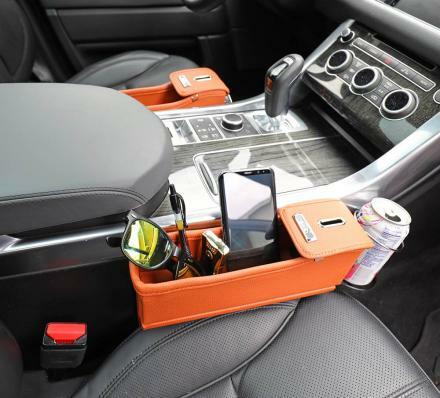 Perfect for the mobile eater, tailgater, beach goer, or picnic enthusiast, the folding picnic table seats up to 4 regular sized humans, and can quickly and easily be folded down so that it actually turns in to what looks to be a large wooden briefcase. 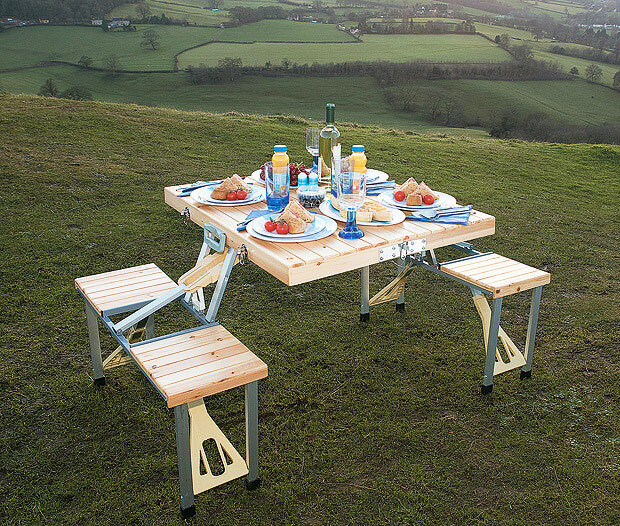 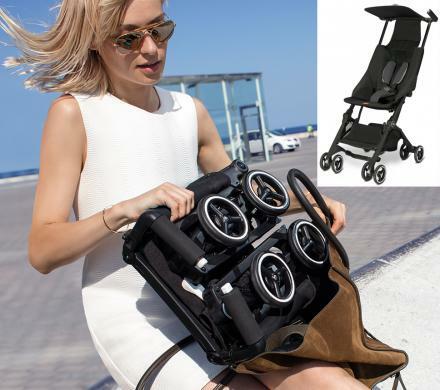 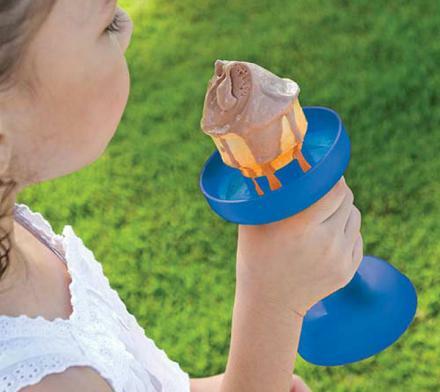 No longer will you need to make 4 trips to the car when out at the beach or a park to grab chairs and a hefty table, just haul out seating for four, as well a generous sized table to fit your food all using just one arm. 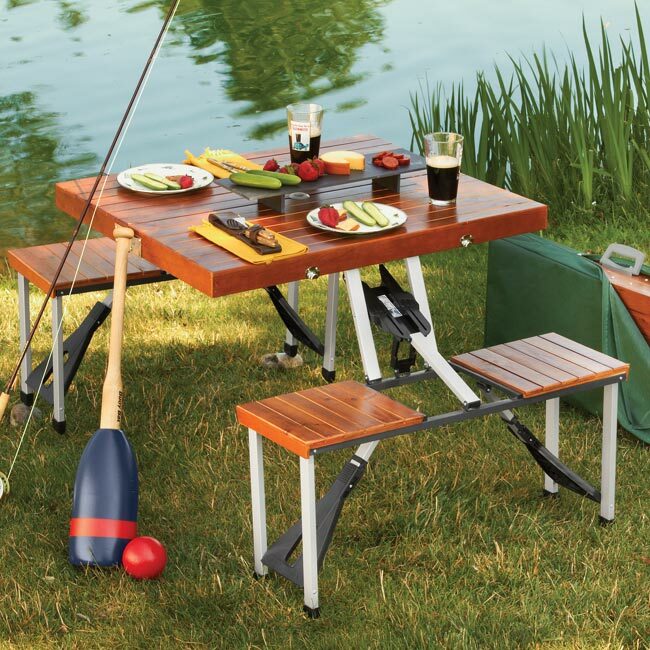 The folding picnic table briefcase is made from wood and stainless steel, has a hole on the top to hold an optional umbrella, comes with a zippered canvas protective bag which also has a handle, and can withstand up to 240 lbs of chubbiness per seat. 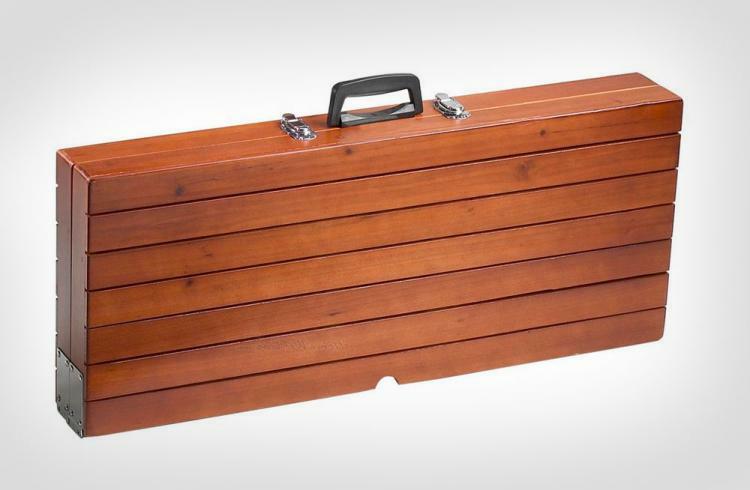 The picnic table briefcase measures 33.25 inches wide x 26 inches long x 53.75 inches tall when fully opened, measures 33.25 inches wide x 14 inches long x 4.5 inches deep when folded in to briefcase mode, and weighs 27 pounds in total. Check out the briefcase folding portable picnic table in action via the video below.